Riding home on the tube yesterday, I saw two women clinging to their oversized paper bags, stamped with the Primark logo, bulging with that day’s haul. Since moving to London, I have reluctantly got very used to this sight. But I wasn’t expecting to see it this week. I had idealistically (or naively) thought that last month’s building collapse in Bangladesh would have at least made consumers think twice about shopping there so gleefully until some questions about their supply chain were answered. This year has seen a lot of supply chains issues hit the headlines. I had hoped that this lack of transparency would show people that we cannot take all brands at face value. This particular incident in Bangladesh – a totally unnecessary loss of human life - is surely far more horrific than uncovering horse meat in a Tesco “beef” burger, yet I was saddened to realise how little I have heard it talked about in comparison. For some reason we are a lot more sensitive about the things that we eat, compared to what really goes into clothing we wear each day. Over 1100 people were killed, and about 2500 injured, when the eight story Rana Plaza factory collapsed in Dhaka, Bangladesh on April 24. The building housed five garment factories, which, it has been widely reported in the press, produced clothing for industry giants Primark, Benetton, Bonmarché and Mango (among others). In truth, it is difficult to know who produced clothing there as most implicated brands have avoided admitting direct involvement. Benetton was adamant that they did not produce in the factory, yet in the days after the collapse photos of their garments amongst the rubble hit the press. Before the collapse, cracks had been spotted in the building by workers, but they had reportedly been told by factory owners to ignore them. This may be the largest accident of its kind in history, but unfortunately it is not the first. Such incidents are the result of huge growth in Bangladesh’s textile industry. Many brands have chosen to move production from China and other parts of Asia to Bangladesh, as labour there is far cheaper. The Worker Rights Consortium puts hourly wages for Cambodian, Pakistani and Vietnamese textile workers at around double that of workers in Bangladesh, while Chinese workers are paid around five times as much. 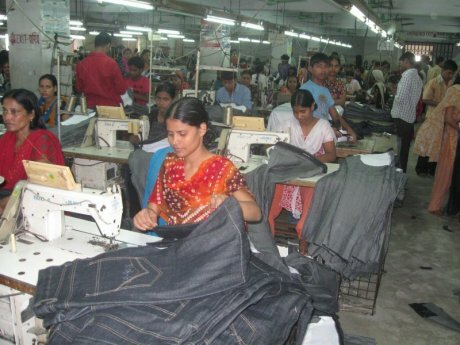 Bangladesh has subsequently become one of the largest clothing producers in the world - according to campaign group War on Want, the industry employs around 3.5million people in around five thousand factories. The country's garment industry is now worth 20 times more than in 1985. This drastic growth has led to factories often being illegally added to, whilst corners cut during ‘building’ work leave them unsafe to work in. Cost-driven retailers take their pieces to be made up by these factories in Bangladesh and this is where the supply chains of many brands gets a little blurry. Brands rarely have contracts or agreements with particular factories alone. They pitch production lines to the factories and the lowest, fastest bidder wins. Often no thought is given to how much the workers will earn (according to War on Want’s Stitched up report it is as little as £32 per month - around 9p per hour), few questions are asked about safety standards, and little consideration is given to how many hours will need to be spent by factory workers to meet unrealistic deadlines (eight out of ten women interviewed for Stitched Up worked between 12 and 14 hours per day, while others worked as many as 16, with overtime often going unpaid ).To keep up with these deadlines and price points, some factories then sub contract the work out to other factories. The retailer subsequently has no idea where their garments have actually been produced. Consumers need to question where their clothes are coming from. Everyone must learn to ask how a shirt winds up in their wardrobe for a mere £5. If you consider the cost of designing the garment, growing or making the fibre, producing the fabric, the application of details such as printing/dyeing/zips or fastenings, the production of the garment, transportation of the garment across the world to find its way into the warehouse and then the shop, the cost of keeping the shop open, and paying the retail employees – it’s hard not to think that corners must have been cut throughout the supply chain. And they are cuts that have a huge environmental, social and human cost. It is tragic that it has taken this catastrophic loss of life for eyes to turn to Bangladesh (and hopefully the retailers) for answers. Blaming the industry in Bangladesh or taking trade away from their factories is not the answer. This is not a viable or humane solution to the problem. Millions of people (particularly women) depend on jobs within the textile sector in Bangladesh – it is crucial that production continues, but retailers must take steps to ensure it is done responsibly and ethically. People Tree is an exemplar of how ethical production in Bangladesh is possible. The Fair Trade brand, which launched 18 years ago, aims to help alleviate poverty by creating secure jobs in Bangladesh. They do this by designing collections that use and develop local skills, by paying about three times the national minimum wage and by allowing enough time for production – all of which ensures workers’ hours are not exploited to meet unrealistic deadlines, whilst working alongside Fair Trade groups including Swallows (right) on a local level. Since the factory collapse, there have been a number of organisations including People Tree, Labour Behind the Label and War on Want, who are really making some noise, and ensuring their voices are heard. Members of the public have signed petitions in their tens of 1000s and started to ask questions of their favourite retailer. As a result, some positive steps have been taken. The Bangladesh Safety Accord, which aims to prevent accidents like this from ever happening again has now been signed by global retailers including Primark, H&M, M&S, Tesco, Sainsbury’s, Next and Zara. By signing, brands agree to carry out independent safety checks and contribute financially to improving buildings and facilities in factories in which their garments are made. Companies who sign the agreement will also be obligated to terminate contracts with factories that don’t adhere to safety regulations. Disappointingly, a number of brands demonstrated reluctance by waiting until the last moment: Mango was reported to have signed it earlier this week (with a mere 24 hours to spare). Paul Collins from War on Want tells of Primark’s apparent resistance, “Primark has signed the Bangladesh Safety Accord and promised compensation. 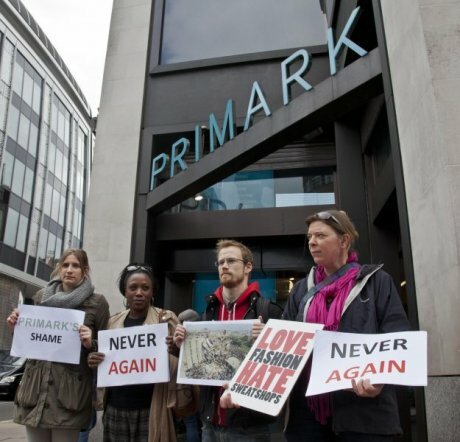 But, Amirul Haque Amin, the president of the charity’s Bangladeshi partner, the National Garment Workers’ Federation, has spoken out about Primark dragging its heels on redress. He said the company pledged to make specific proposals for compensation soon. Yet weeks have passed without developments”. To date GAP and ASDA (owned by Wal-Mart) are reportedly still refusing to sign – Wal-Mart has instead proposed its own measures . Further progress made this week saw the passing of a new legislation by the government in Bangladesh – they are raising the national minimum wage for garment workers, allowing workers to join unions without their employer’s consent and forcing factories to offer the workers life insurance. These steps are promising, but the battle is far from over. 1. Start asking questions. Contact the retailers you are loyal to or buy from. Ask them WHO is making their clothes, WHERE, in WHAT conditions and HOW much they are earning. Find out the name of the CEO and write to them directly to tell them you care. 2. Sign Ms Wanda’s 1% campaign petition, which asks garment retailers to begin investing at least 1% of their profits into ensuring that human rights of factory workers are not violated. 3. Do not turn a blind eye – it may not affect you directly (I know I may be preaching to the converted here) – so please share what you know or even this post with your friends and family. 4. 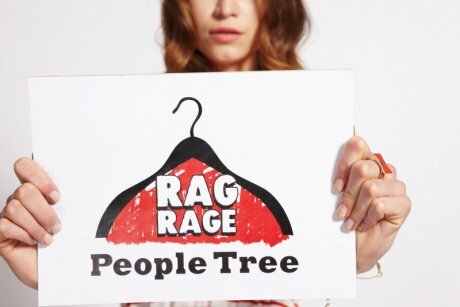 Support People Tree's Rag Rage campaign and organisations such as War On Want and Labour Behind the Label who campaign for the rights of garment workers worldwide – add your name to their petitions or sign up to their newsletter.